Just as you need to brighten up your wardrobe with new fashionable pieces of clothing, so is your interior design. Perhaps, you need to have a lively dining room where visitors feel the warm welcome in you. With the fast paced advancing technology, interior designers have also come up with new trends on how you can give your interiors an elegant and modern twist with the industry dining room ideas. 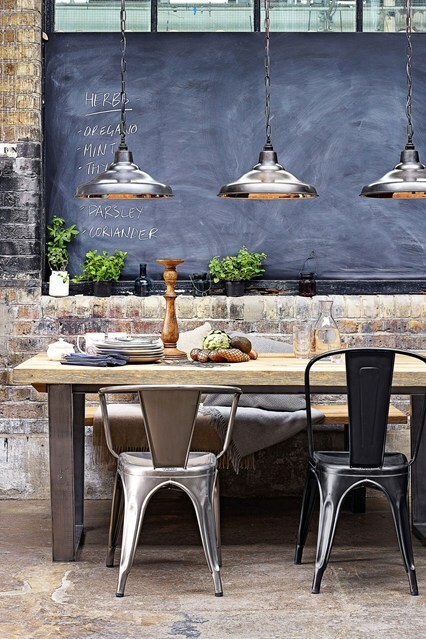 Wondering on how to get started, here is a small guide on how to create an industrial dining room. 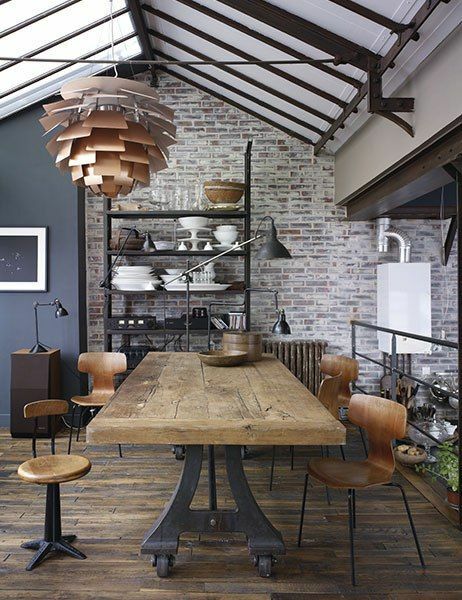 Brick walls make the best pick in reshaping your modern dining rooms. 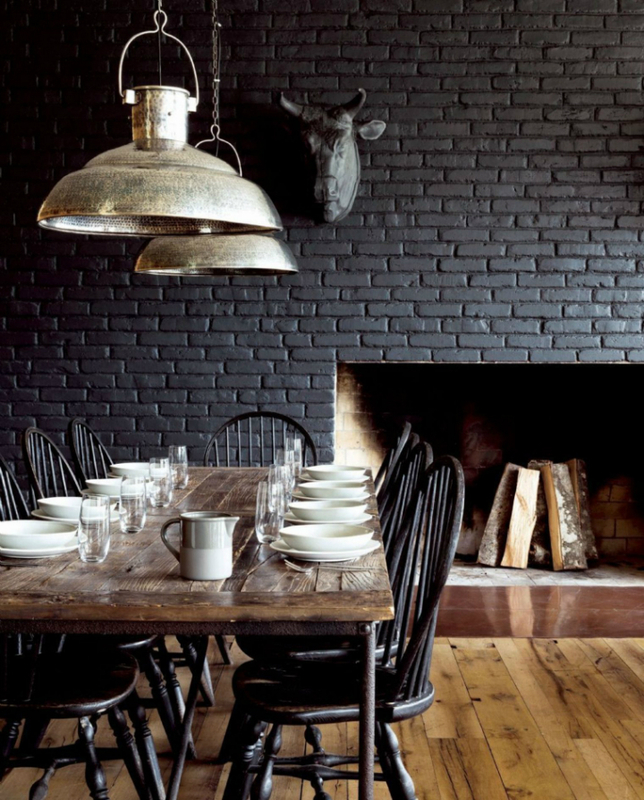 If you need a cozy but edgy backdrop in your interiors, then be ready to incorporate brick walls. Moreover, brick walls also set the tone for other critical additions. Image: Davey School Ceiling Light, £399, Tolix stool,£199, both at John Lewis. Light play a pivotal role in completely advancing the appeal of your room interiors. It is even more beneficial in case you want to use styling such as Mediterranean, Asian or industrial. You can use a lighting fixture to invite some chic or any other midcentury appeal into your industrial room interior. It adds charm to your space and also creates an underrated style. If you need a fantastic and contemporary home, then you should be ready to embrace the use of wrought iron. It is the best ornamental and structural element that delivers the best appeal for your home interiors. Other options you may consider include cast iron, copper, and brushed nickel. For any home interior refurbishment, there must be a good mix and match between the various contemporary and old architectural ideas. 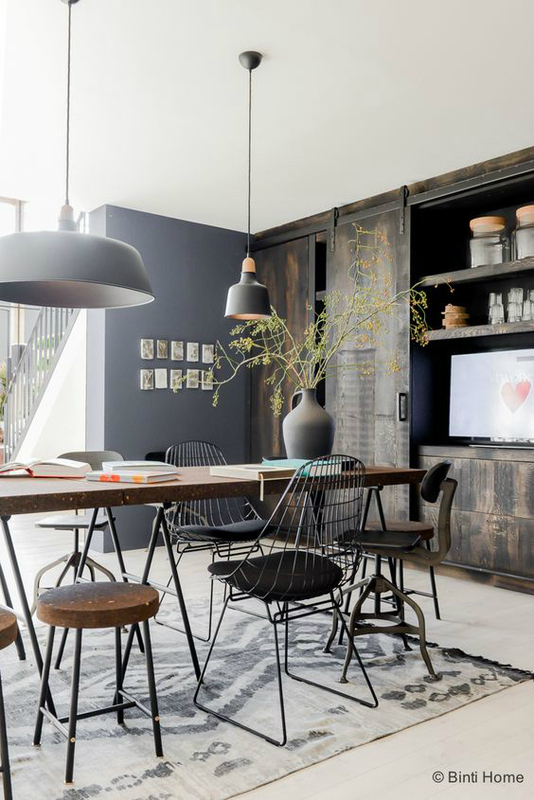 The use of rustic metals, pendant lighting and choice of fixtures must all come in harmony if you want to transform your industrial dining room fully. Consider finding architectural focal points. This is a good way to give your interior space an entirely new face. Concrete often give a great finish. It is not only functional but also appears modern and clean. Use concrete on floors, countertops, bathtubs, and fireplaces. 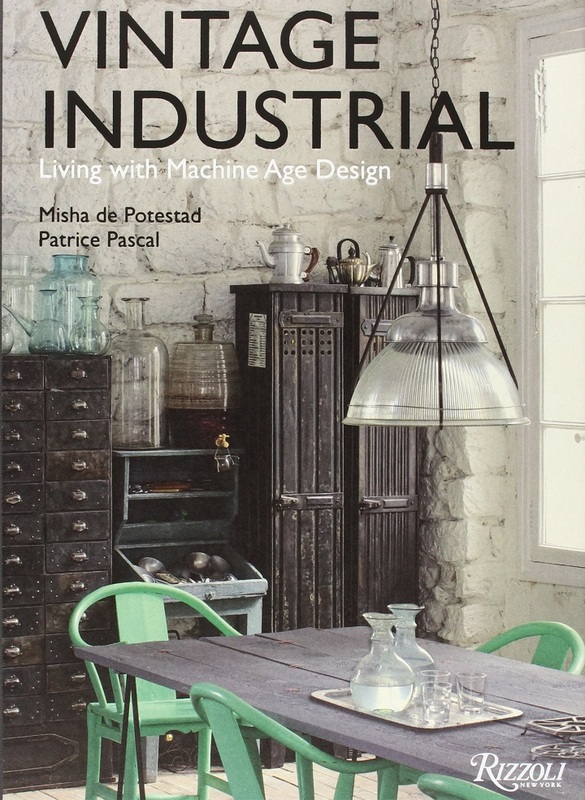 Additionally, you can consider including industrial inspired furniture for greater detailing. 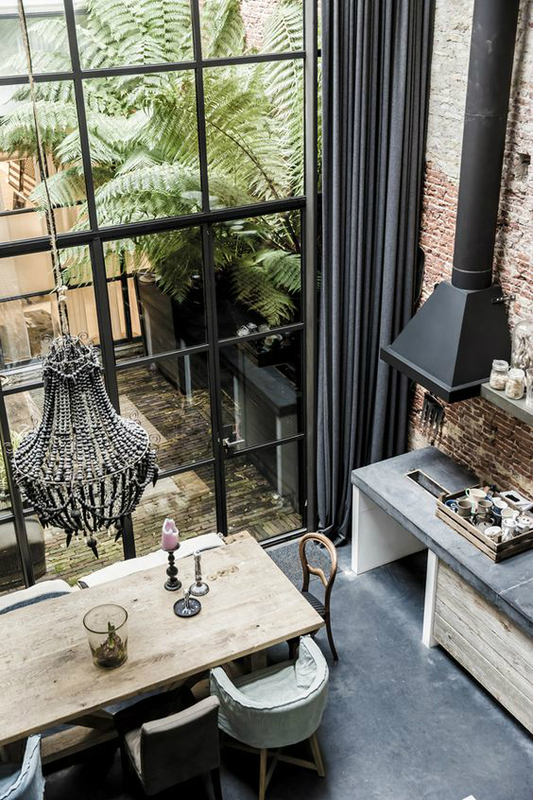 New industrial living room designs are slowly creeping into most homes. If you are planning on advancing yours, then the above tips can guide you come up with a great one.